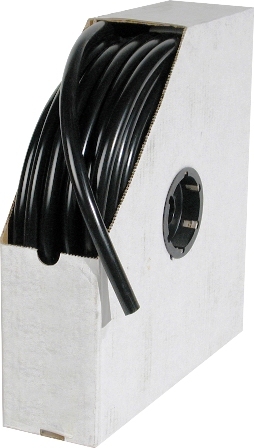 Connect your pump to your fountain with this low cost black vinyl tubing. Can be used in aquariums and small water gardens. TJB-INC offers all the plumbing supplies you will need to assemble your custom water feature including: flexible pvc piping, manifold kits, pvc pipe fittings, and water fill valve parts.